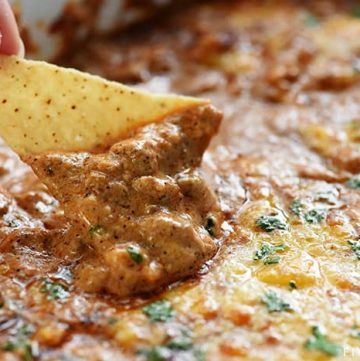 Creamy, cheesy Beef Enchilada Dip has the great flavor of beef enchiladas in an easy-to-make, addictive dip…perfect for parties, get-togethers, and game day! 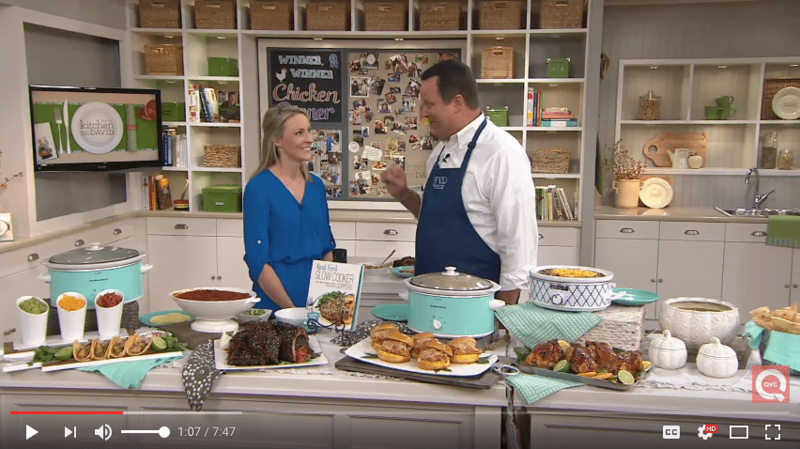 Football season is in full swing and that means it’s high time I get a new yummy dip recipe on the roster! 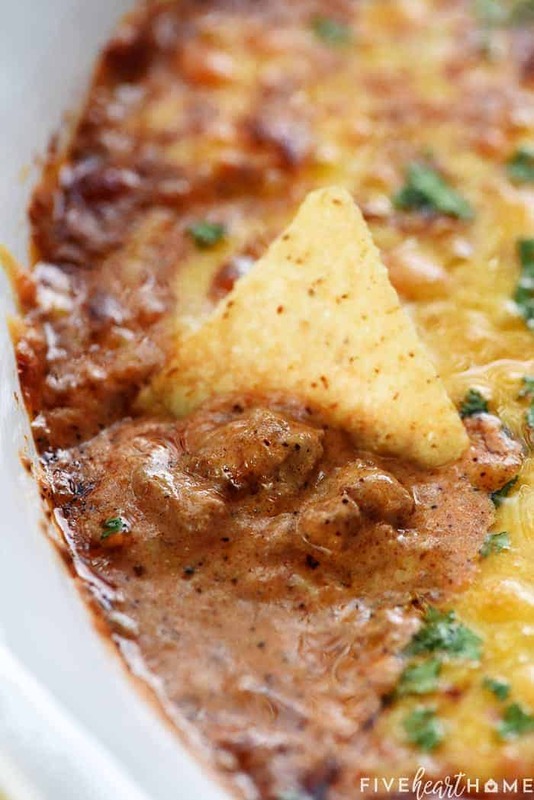 Beef Enchilada Dip was inspired by one of my family’s longtime favorite dips — wait for it — Chicken Enchilada Dip. 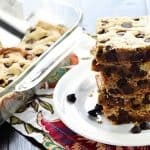 The post is old, the photos are horrendous, but the recipe is delicious.? 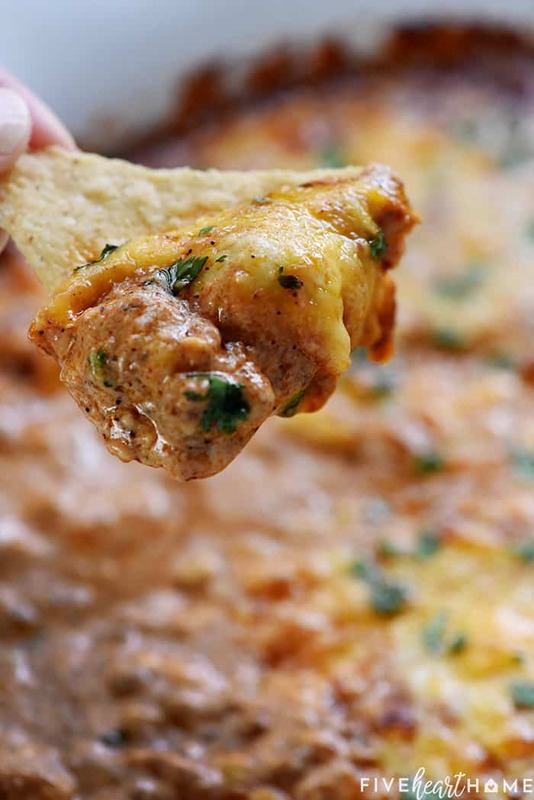 But if Chicken Enchilada Dip is good, would Beef Enchilada Dip be even better? I made it my mission to find out. Enchilada sauce. Except, as a quick, all-natural short cut, I substituted a can of tomato sauce plus some enchilada-friendly seasonings, including chili powder, garlic powder, and cumin. Cheese. 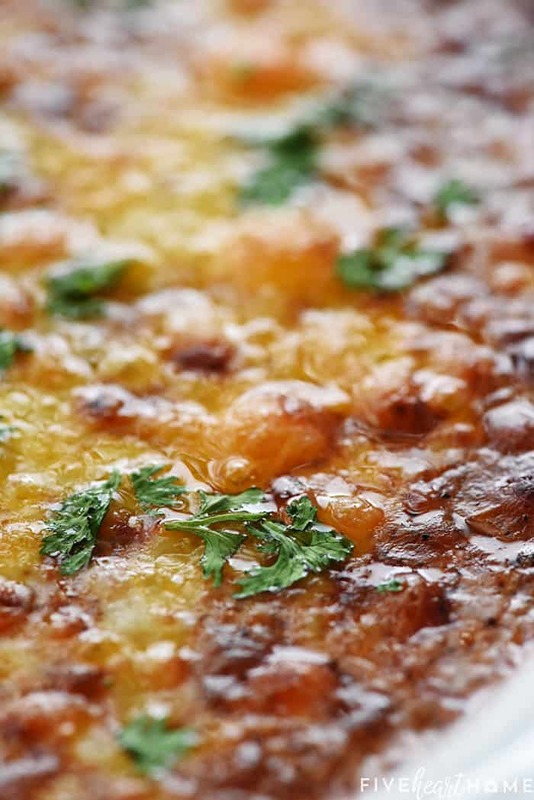 I used shredded cheddar plus cream cheese for the silky texture and decadent flavor so desirable in a dip. And finally, diced green chiles. Because I like ’em! And even though this dip was super simple to whip up, there was, indeed, a method to my madness. First, I browned my ground beef in a pot. Even though this dip only calls for half a pound of ground beef, I usually buy my ground beef in 1-pound packages. So I went ahead and browned the whole pound, drained it, and then scooped half of it into a container to pop in the fridge for another use. 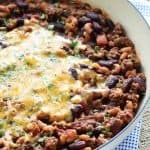 Alternatively, you could use an entire pound of ground beef in this recipe for a very BEEFY Beef Enchilada Dip. Or double all of the other ingredients (to keep everything nice and proportional) and bake off in a bigger casserole dish. This would be the optimal choice if you’re having a large-ish shin-dig. After you decide how you prefer to handle your ground beef, stir in the tomato sauce, the green chiles, and all of the seasonings. Then bring to a simmer and cook for about 5 minutes until the sauce has thickened and is clinging to the meat. This brief cooking time is important both to develop the “enchilada sauce” flavor and to make sure your dip doesn’t end up too runny. Next comes the cheese! I just plopped in the cream cheese and the shredded cheese at the same time and stirred them into the beef over low heat until everything was smooth and melted. I went with a combo of sharp white and yellow cheddar, but you can use your favorite cheese. A Mexican blend, Monterey Jack, or even pepper jack would all be tasty. You’re going to stir about 2/3 of your shredded cheese into the dip at this juncture and set aside the rest. Once the cheeses are fully incorporated, taste the dip and adjust the seasonings with more salt and pepper, if desired. Then spread the whole shebang into a pie plate (or similarly-sized casserole dish), sprinkle with the reserved shredded cheese, and pop in the oven until nice and melty. I actually finished off my dip under the broiler until is was starting to turn golden brown and bubbly. If you go this route, just be sure to watch it the entire time. The broiler can do magical things, but it can also take a dish from perfect to burnt in a matter of seconds. 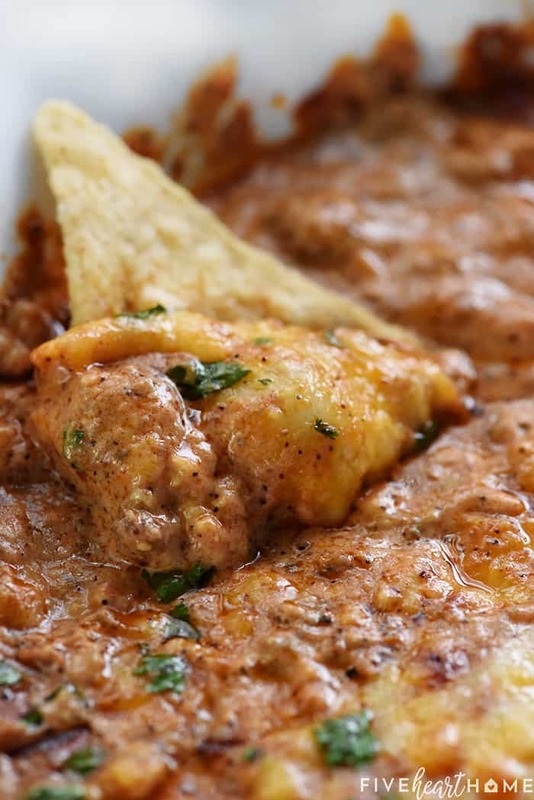 Feel free to customize your Beef Enchilada Dip to your liking. You could stir in some black beans to give it even more substance. Tweak the spices or add diced jalapeño for extra heat. Top with diced onions or sliced black olives or fresh chopped cilantro for garnish…whatever you enjoy on your enchiladas! I’m not one to judge. And that’s it! This dip is as scrumptious as beef enchiladas but easier to make in the form of a handy-dandy appetizer. 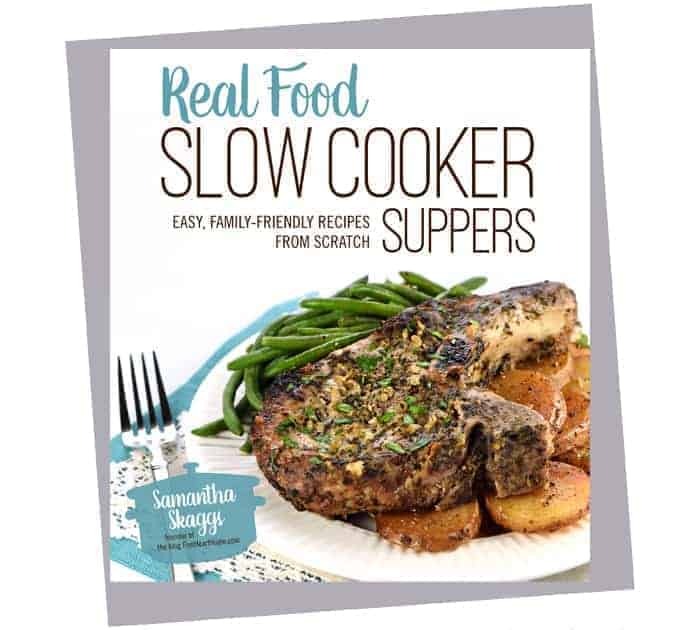 Ready just in time for football season…or any time you’re in the mood for a little chip-and-dip action. Enjoy! 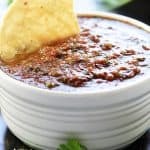 Chipotle chile pepper powder adds a smoky spiciness to this dip. 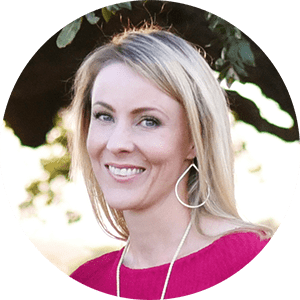 You may omit it for a milder dip, increase it for more heat, or even swap it out for cayenne if that’s what you’ve got on hand. If the mixture seems too thick before transferring it to the baking dish, you may add a splash of milk or beef broth to achieve your desired consistency. 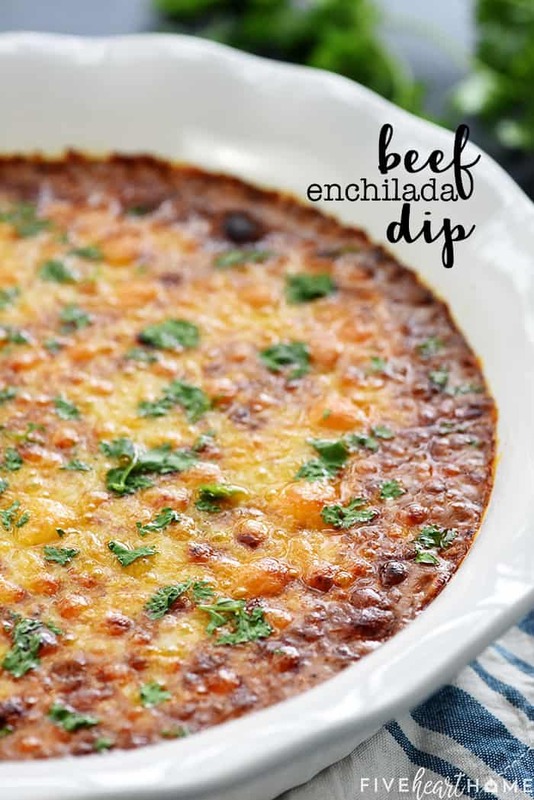 This dip would be a great way to use up leftover taco meat! Speaking of tacos, that’s actually how we enjoyed our leftover dip the day after I made it for this blog post (I have no doubt there wouldn’t have been any leftovers if I’d served this dip at an actual party). 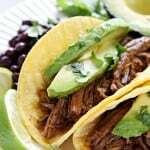 I warmed it up, spooned it into flour tortillas, and garnished with slices of avocado and fresh cilantro. A little messy, but everyone loved it! 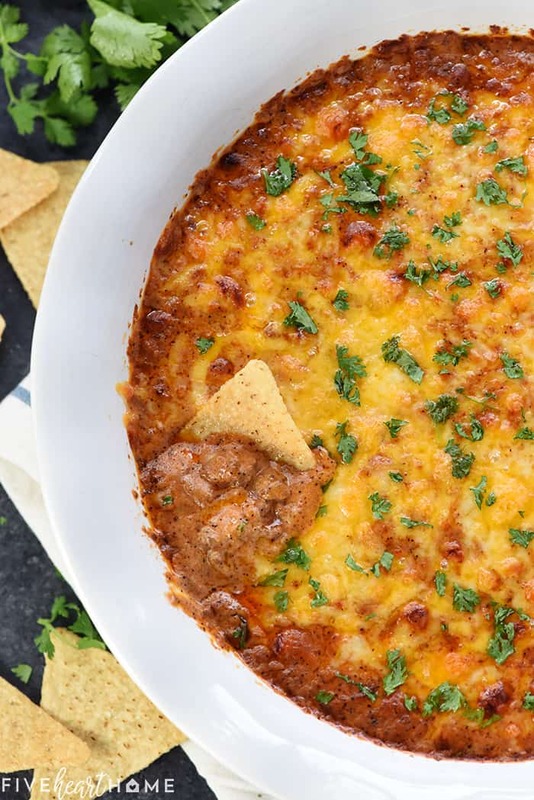 Creamy, cheesy Beef Enchilada Dip has the great flavor of beef enchiladas in an easy-to-make, addictive dip...perfect for parties, get-togethers, and game day! Preheat oven to 350°F. Set a medium pot over medium-high heat. Add the ground beef and cook until no longer pink, breaking apart and stirring as the meat cooks. 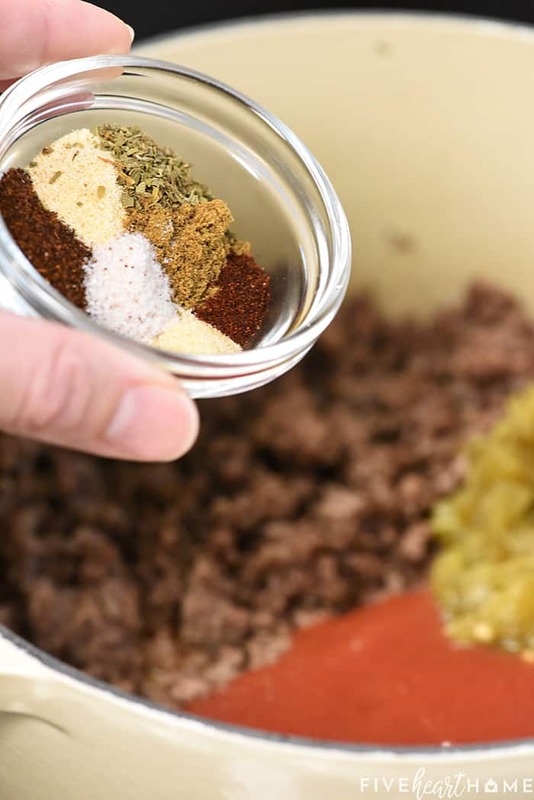 Once the meat is browned, drain the grease from the skillet and stir in the green chiles, tomato sauce, chili powder, cumin, garlic powder, onion powder, oregano, chipotle chile pepper powder, salt, and pepper. Bring to a simmer and cook, stirring frequently, for 5 minutes or until thickened. Cut the cream cheese into cubes and add to the pot, along with 1 cup of the shredded cheese. Stir until all ingredients are combined and melted. Adjust to taste with additional salt and pepper, if desired. Transfer the mixture to a 9-inch pie plate (or equivalent baking dish) and spread into an even layer. Sprinkle with the remaining shredded cheese. Bake for 10 minutes, then increase the heat to broil and cook for several minutes more (watching the entire time) until the cheese is golden brown and bubbly. Allow to sit for 5 minutes before serving.